I ended my last post, in regards to a recent visit to Bigiya, by noting that my ramen freak buddies and I were left hungry for more. When you're as devoted to noodles and soup as we are and you've got room in your belly on a sunday afternoon, well there's only one thing to do - hunt down another bowl. We did a quick pop in a convenience store to flip through the latest ramen mags for ideas when it struck us. Wait, nothing struck us at all. Or rather, Zero did. Ramen Zero that is, located near the Meguro station on the Yamanote loop line of central Tokyo. Seizing a rare chance to experience the materiality of a negation (though come to think of it, nearly every ramen bowl resembles a zero if viewed from the right angle), we hopped back on the train in search of the quest for zero. The history of zero, of the very concept of a lack as a universal presence, can be traced back to the ancient Babylonians, Mesoamericans and Arabic mathematicians. Fortunately, the history of Ramen Zero is a bit less complicated. This zero was conceptualized a few years back by the team at Setagaya, one of the most economically powerful players in the ramen scene. In addition to the original Setagaya shops, the company also has birthed Hirugao, Fukumori, Daidai, Momo no Ki, and Nanbu. And of course, it's one of the most familiar names to foreign slurpers, since Setagaya is one of the few Japanese chains to run a shop in New York. At first glance, Zero's bowl looks pretty standard. So what makes it so specially Zero? What is the fundamental absence at the heart of this soup? The answer is both simple and shocking. Ramen Zero's ramen is made without tare, the thick, distilled flavor essence at the base of essentially all ramen that the boiled broth its strong taste and salt content. A recent reader question about ramen types brought this issue up - ramen types like shôyu (soy sauce) and shio (salt) are based on the type of tare used, while tonkotsu (pork bone) is actually a distinction of the soup broth itself. Often overlooked, tare is one of the key components of any bowl of ramen, along with the broth and the noodles, and its production can be the most complex of any element of the whole. So, how does the tare-less temptation taste? To be honestly, a bit weak. Turns out that there's definitely a reason why most all shops have tare. It's true that we may have been ruined by growing used to overly strong tastes, but the soup just felt too thin with only the salt content and flavors from the ingredients boiled in, which include pork bones, chicken, veggies, seaweed, clams, scallops, squid, and sardines. The fully loaded Zero bowl comes with extra pork, an egg, and a bunch of littleneck clams whose shells have to be picked out of the bowl. But nonetheless, the final result wasn't quite satisfying, at least for us noodle geeks. I'd be happy to drink a cup of this soup with a meal, but it just lacked the punch you look for a truly epic bowl. When Ramen Zero opened up shop a couple months back it was the toast of the town, an experimental bowl predicated on a concept so fundamental it had always been overlooked. But we'll see how this ramen stands the test of time. 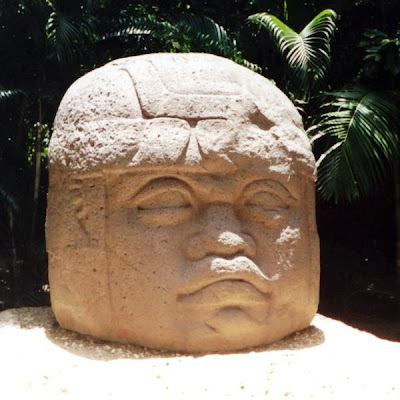 Something tells me that Setagaya corporations contributions to culture may not be around as long as those Olmec stone heads. Ramen Zero scores way above a 0 on the card, but you're better off spending your 1000 (yen, that is) elsewhere. My family and I are going to be in Tokyo for one night, at the Sheraton Miyako Tokyo Hotel. Is there a ramen shop that you can recommend for us to try within walking distance? Reason is we have a five year old and he's probably going to be a little tired from jetlag, and it's been twenty years since I last navigated the Tokyo subways. The address is listed as 1-1-50 Shirokanedai, Minato, Tokyo Prefecture 108-8640, from my Googling it seems to be near Meguro. @Seneschal - Maybe Nate has an answer, but since he's a few month behind on posting, I can't let a ramen question go unanswered for that long! There is a row of good shops along the tracks at Shinagawa station. It's called Shinatatsu Ramen Road I think. It's literally 1 minute from the station. Brian, thanks for the alley-oop dude! Shinagawa Ramen Road is definitely a good option, since it is easy to find, has a lot of variety, and is right next to a major JR station in that part of town. I second that opinion. Thanks guys! Any particular one shop that's memorable? We've eaten all of the ramen California has to offer, now we want to eat it in its homeland, in all its glory. -Kibi きび - maybe similar to Setagaya but a bit more old-fashioned? Enjoy, and let me know what you end up eating! I'm glad I saw this review. This place is on my way home and I thought I'd stop in sometime. Probably not now. Thanks Nate for the detailed and extensive list! I will print it out and bring it with us. I'll be sure to report back on our experience. It's going to be interesting to see how much Japan (and ramen) has changed in 20 years!